HONG KONG — Hong Kong customs officers have intercepted a record 8.3 tons of pangolin scales and hundreds of elephant tusks worth more than $8 million combined, underscoring the threat to endangered species from demand in Asia. Acting on a tip from mainland Chinese authorities, local officials found the haul in mid-January in a refrigerated container labeled as frozen meat from Nigeria, officials said Friday. They said the smugglers kept the temperature low to better disguise the smell of the illicit cargo. Police arrested two people in connection with the seizure. It was the largest-ever seizure of pangolin scales in Hong Kong, representing the product of some 14,000 animals, and one of the largest of ivory in a decade, the officials said. Scales of the anteater-like pangolin have for centuries been highly valued in traditional Chinese medicine. The scales, made of keratin akin to fingernails, are often roasted and ground to a powder before being added into a mix of ingredients to purportedly cure arthritis, promote breast feeding for mothers and boost male virility. Scientists have designated all species of pangolins as being at risk of extinction. In the last two decades, the number of pangolins worldwide has dropped by about 90 percent. Ivory tusks are a cherished decorative craft material in Asia, resulting in the devastation of wild elephant populations in Africa. Under Hong Kong law, the importation and sales of endangered species and their products can be punished by up to 10 years in prison and a fine of $1.3 million. 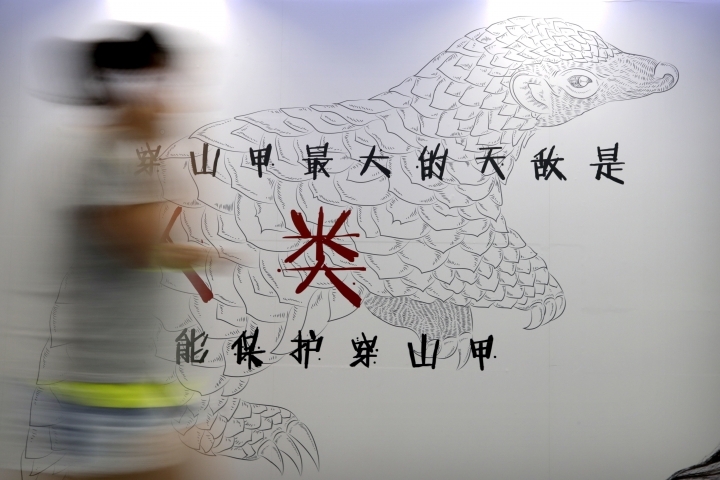 China and Hong Kong have sought to crack down on the illegal trade, although the semiautonomous port and financial center remains a major transit point for endangered species products and other contraband. 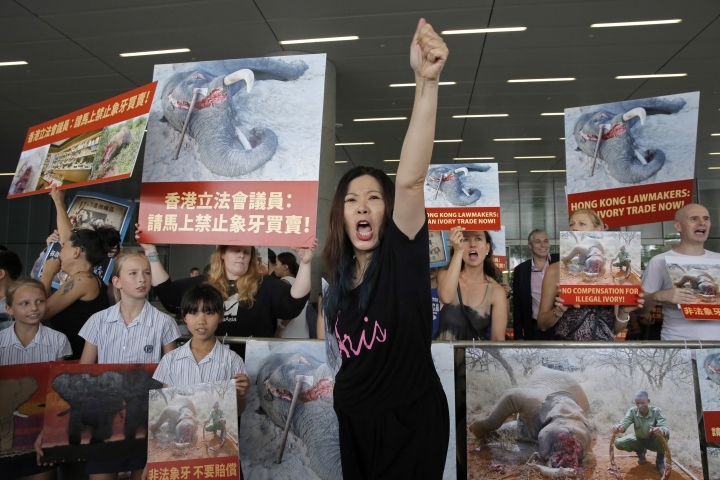 Last year, following the outlawing of ivory sales in mainland China, Hong Kong's legislature enacted a complete ban on the local ivory trade to take effect by 2021, while raising penalties for offenders. Meanwhile, a court in Thailand this week dismissed charges against a Thai man believed to be a kingpin in the illicit trade, according to Freeland, an organization that works with police to combat trafficking. Boonchai Bach was arrested by Thai police just over one year ago at Bangkok's Suvarnabhumi airport for his alleged involvement in the smuggling of 11 kilograms (24.2 pounds) of rhino horns from Africa worth $700,000. A Chinese man and a Thai wildlife quarantine officer accused of assisting the smugglers were also arrested. Citing a lack of evidence, the Samut Prakan Provincial Court found Boonchai Bach not guilty of multiple charges relating to wildlife trafficking, Freeland said. Boonchai was suspected of running a large trafficking network on the Thai-Lao border that spread into Vietnam. According to Freeland, he and his family played a key role in a criminal syndicate that smuggled items including ivory, rhino horn, pangolins, tigers, lions and other rare and endangered species. "Prosecution of a complex transnational organized crime case like this requires a multi-agency effort to bring all the pieces of the puzzle together," said Steven Galster, founder of Freeland. "Instead, we saw a kingpin walk free after a narrowly focused case fell apart when the prosecution's only major witness flipped in front of his boss."